Folding and creasing are crucial processes when finishing printed documents, are essential for products such as books, magazines and promotional materials, and make it possible for a large sheet to fit into an envelope. Creasing forms the fold so the ink doesn’t crack. 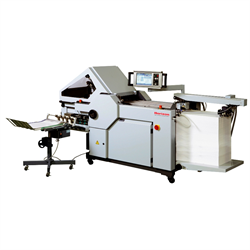 A third process, perforating, is used when producing media with tear-away panels. 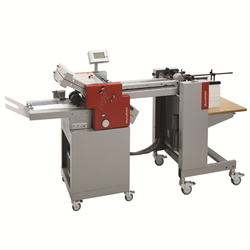 Cortech’s extensive range of folding / creasing equipment includes a variety of three-in-one systems which are also capable of perforating, although your print jobs may not require all three processes. 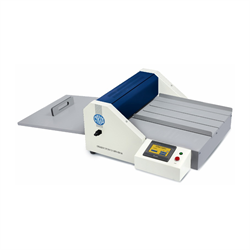 Our folders and creasers are available with manual or automated setup in tabletop, floor standing, friction-fed and air-fed models. Folders may use a buckle fold or a knife fold, or a combination of both when creating the fold. 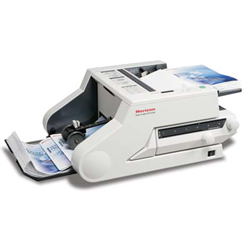 Cortech offers a full range of folding / creasing machines for every industry from small offices and the quick print industry to mailrooms and commercial print producers. We are here to provide you with proven solutions to help automate your print finishing department and get you the results that will make your business more competitive. Contact us today about how to make your finishing processes better, faster and more profitable.